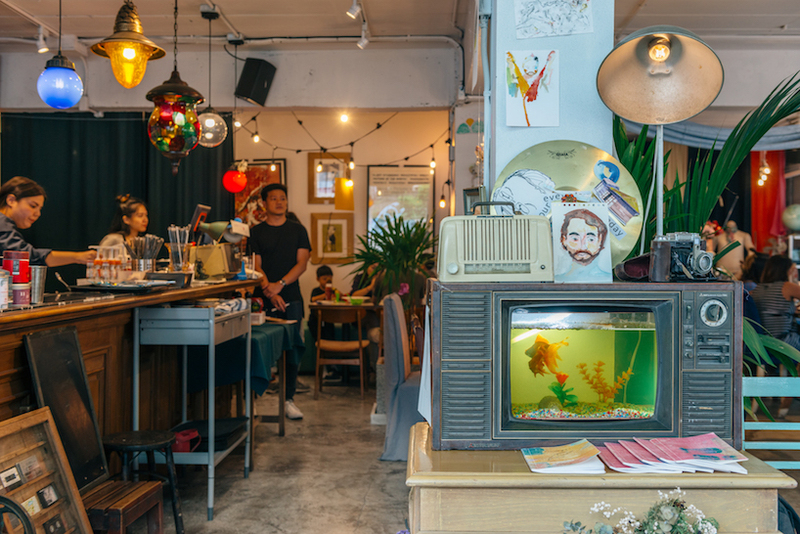 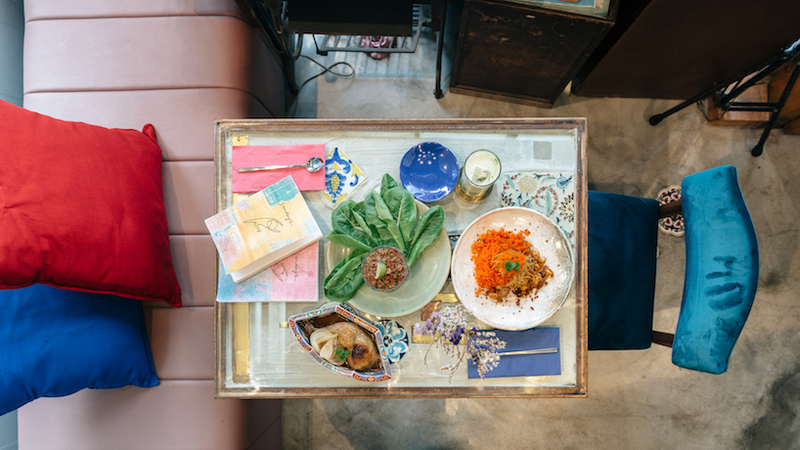 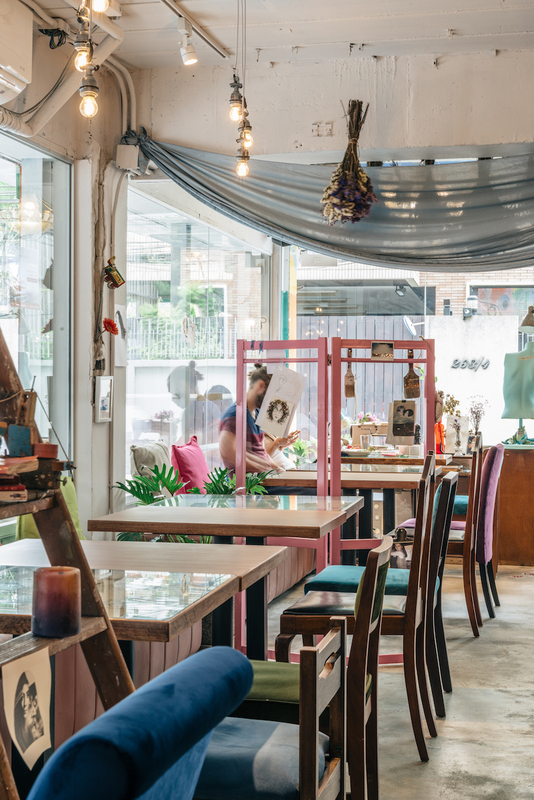 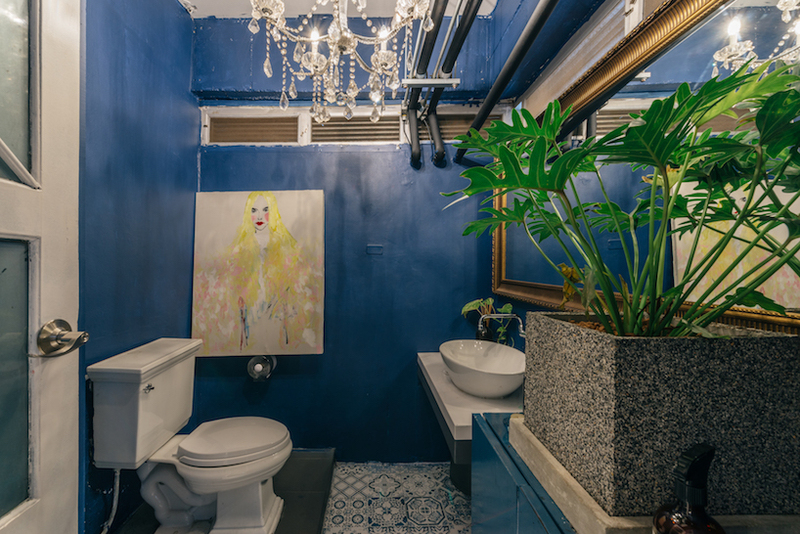 combining hand-crafted design with unique art in a mixture of decoration styles, ‘sundays’ by flat12x is a one-off, eccentric restaurant in the heart of bangkok, thailand. 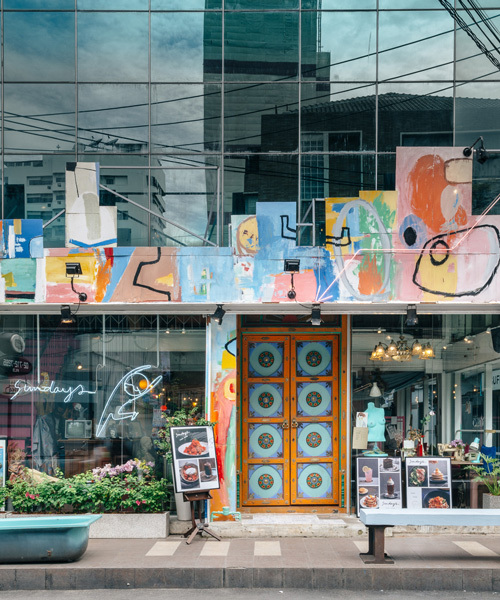 the restaurant exemplifies a good integration of architecture, interior, graphic design and arts, where everything, from the space to the brand signage, and the food & drink packaging, echo a cohesive concept. 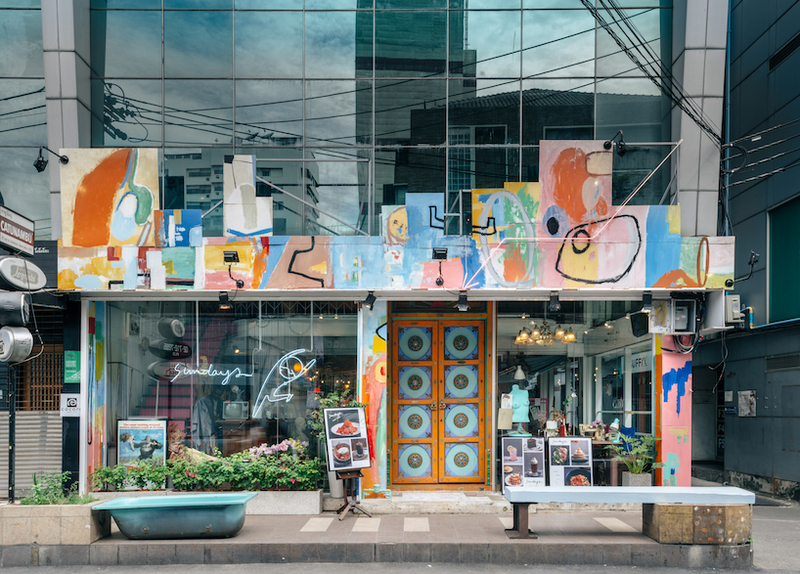 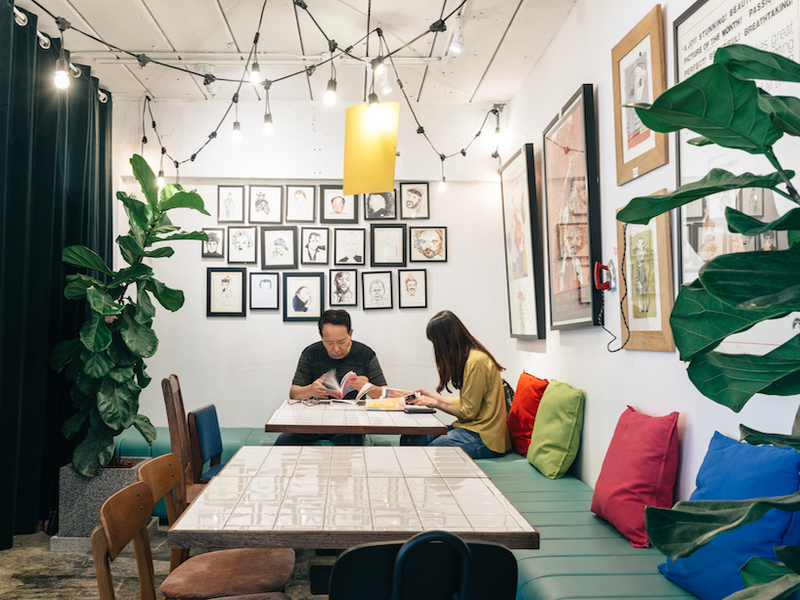 ‘sundays illustrates how arts, at the very least, can make things better,’ mentions flat12x, who transformed two vacant shop units into a space that draws people away from a globalized lifestyle and back into their individual curiosity. 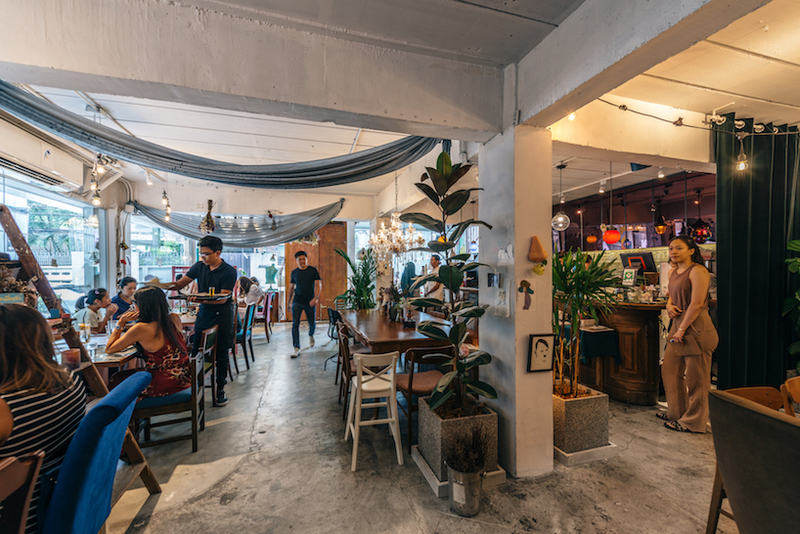 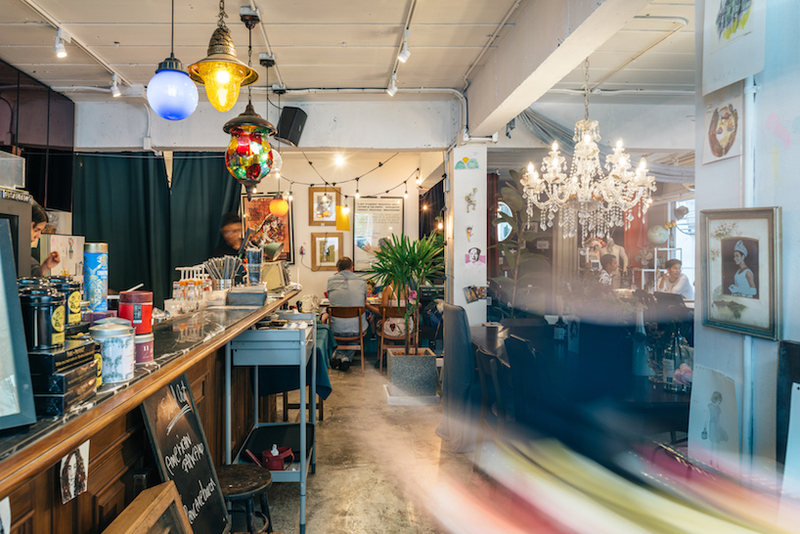 the restaurant expresses a strong physical connection between the building and the space, with a design that allows it to stand out from the generic, stylish pubs and bars surrounding it. 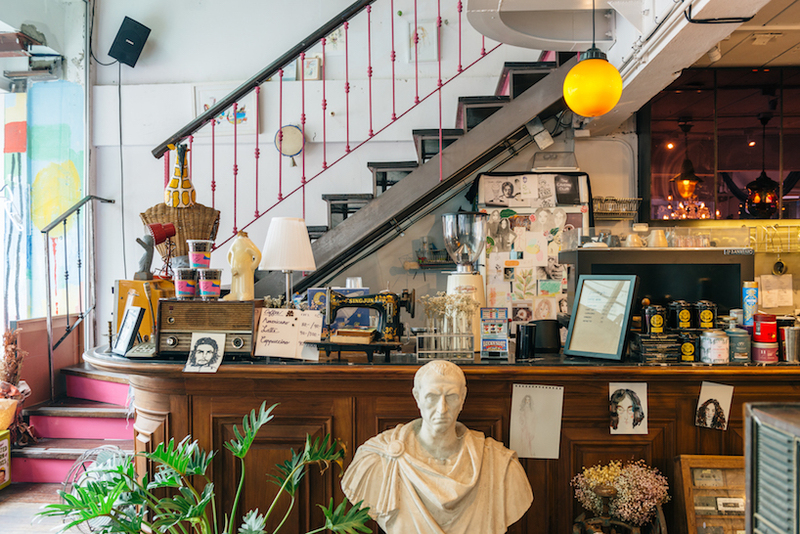 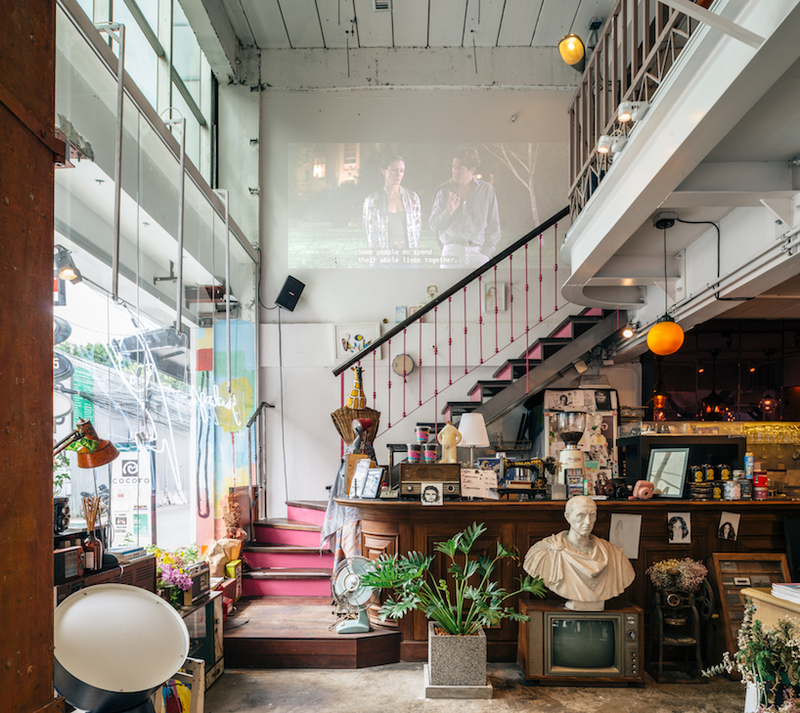 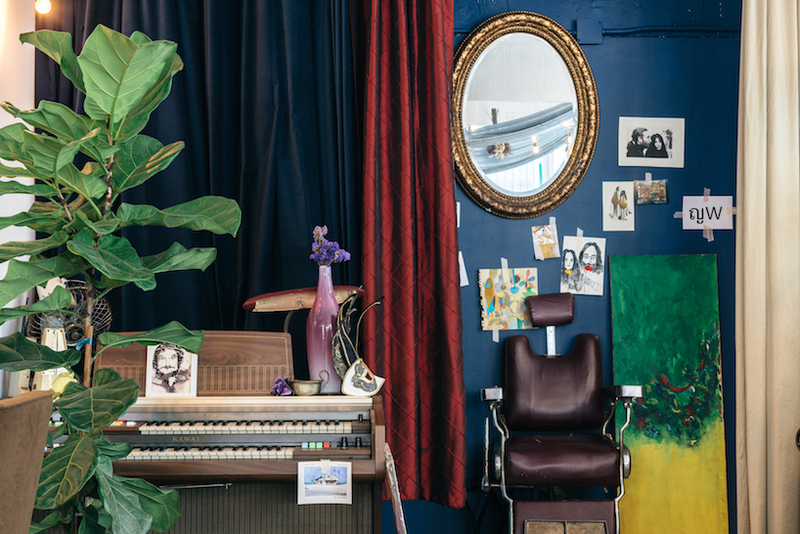 various vintage objects decorate its every corner, art pieces cover unwanted industrial items such as fridges, and flower bouquets pinned upside down make the old structure all the more pleasant. 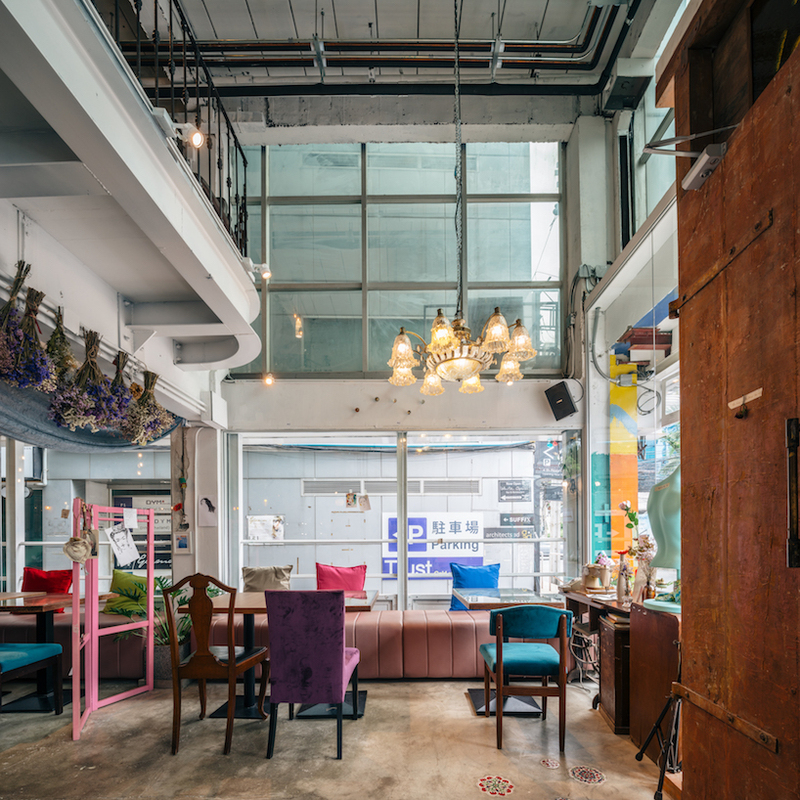 interior design team: pasda sophon, julsamano bhongsatiern, chakrit sripradup, kaewmanee kaewsodsree.